The Veterans Affairs Department is opening up an array of job vacancies to a more expedited hiring process, using a new authority to fill longstanding openings. VA has received approval to move forward with direct hiring for 15 occupations deemed critical, the department’s secretary told senators at a hearing on Wednesday. He received authority to do so when President Trump signed the 2017 VA Choice and Quality Employment Act in August, which tasked VA with using the quicker hiring process for positions with a “severe shortage of candidates.” The department has since worked with the Office of Personnel Management to approve the 15 positions. Those are: accountants, biomedical equipment support specialists, boiler plant operators, general engineers, specialists for the veterans crisis line, health technicians, histopathology technicians, human resources assistants and specialists, information technology specialists, personnel security specialists, police officers, realty specialists, utility systems operators and repair specialists. The direct hire authority applies to those positions throughout the country. The special hiring permission will enable VA to skip normal steps in the recruiting process that often slow it down, such as veterans preference and competitive rating and ranking. VA hired a total of 40,000 people in 2017, but due to attrition and turnover the department saw a net gain of just 8,300 employees. 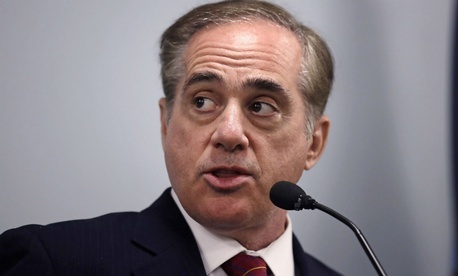 While Secretary David Shulkin praised VA for that onboarding total, it is actually slightly below the number of net employees it gained annually over the last five years and the department maintains 35,000 vacancies. Lawmakers repeatedly questioned Shulkin Wednesday about the large number of vacancies, but he defended its size as natural in such a large organization. The Senate Veterans' Affairs Committee members honed in on the vacant doctor and nurse openings, which were not included in the new round of direct hire authority. VA hired a net of 266 physicians in 2017, which was roughly just 10 percent of 2,400 current vacancies. It gained 1,400 nurses last year and has 5,500 openings. In some areas, VA is using an even more reliable tactic to fill those open medical jobs: more cash. In Montana, for example, the department has boosted educational debt reduction for primary care physicians by $120,000. It is offering psychologists and nurse practitioners a $10,000 hiring bonus and social workers $5,000. Sen. Jon Tester, who represents Montana and is the committee’s top Democrat, said ongoing struggles with vacancies are only exacerbating the problems with turnover. “When you overwork employees, they tend to hit the road,” Tester said. The senator also pressed Shulkin for a report on the department’s use of new disciplinary authorities Congress awarded to the secretary when it passed the VA Accountability and Whistleblower Protection Act in June. VA was required to turn over the report in December, but it missed that deadline. Shulkin promised to give the committee the information shortly, noting his staff was having a hard time compiling it. A department spokesman said the department has relied on the law’s new authorities for “most VA disciplinary actions” since its passage. Shulkin said he still needed additional tools to address hiring concerns, such as converting more positions from falling under the more generic Title Five of the U.S. Code to the VA-specific Title 38. “It makes the process faster and more competitive with the private sector,” Shulkin said, noting VA had the authority to make the changes internally. The secretary noted the reforms he has implemented were just the beginning.